The SQL Comparison Operators will be very useful to compare the Column values with the valid Expression. The following table shows the list of available comparison operators in SQL Server. 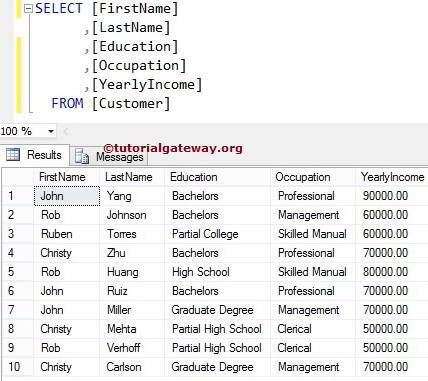 The following are the the list of SQL Comparison operators with an example of each. 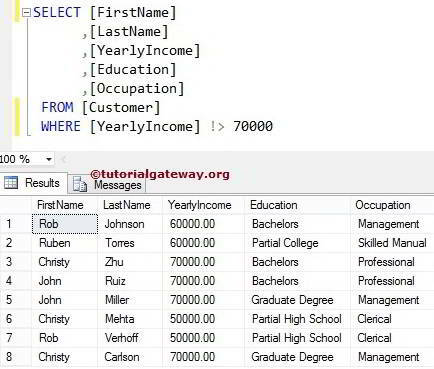 The SQL Equals Operator will display the records whose column value is exactly equal to the given expression. 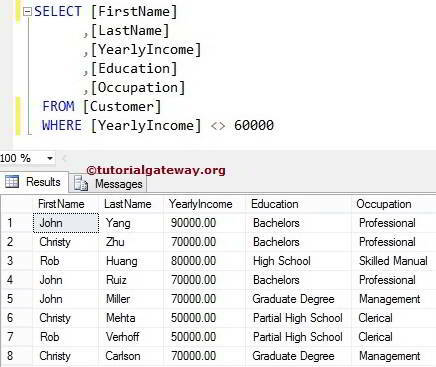 The SQL Less than Operator will display the records whose column value is Less than the given expression. 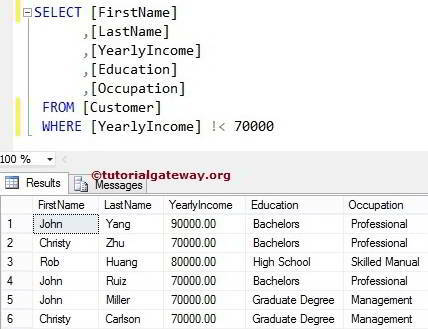 The SQL Greater than or Equal to Operator will display the records whose column value is greater than or equal to the given expression. The SQL Less than or Equal to Operator will display the records whose column value is Less than or equal to the given expression. 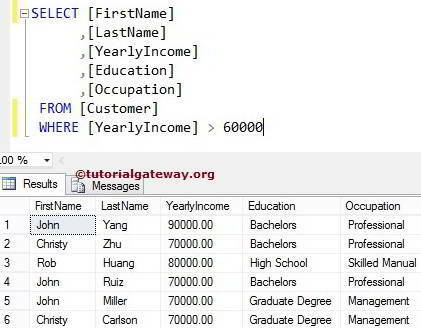 SQL Not Equal to Operator will display the records whose column value is Not equal to the given expression. 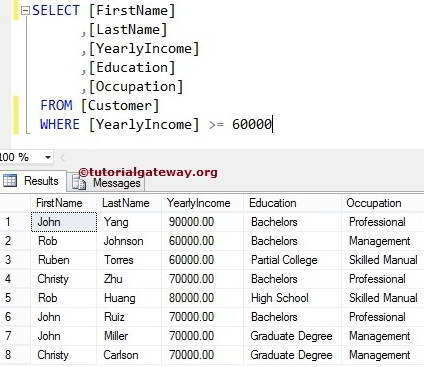 The SQL Not Equal to operator is same as <> Operator. 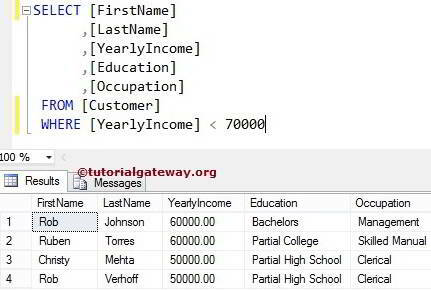 For example, The following SQL Not Equal to operator query will finds the Customers present in the Customers table whose [Yearly Income] is Not Equal to 60000. 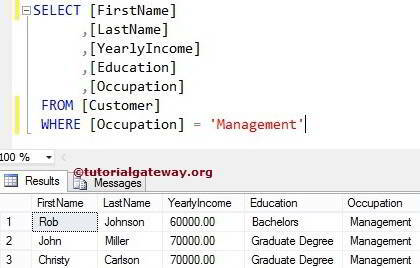 SQL Not Less than Operator will display the records whose column value is Greater than or Equal to the given expression. The SQL Not Greater than Operator will display the records whose column value is Less than or Equal to the given expression.